A few of us at TGM were influenced by automobile enthusiasts from a young age, and cars continue to be a passion of ours. In fact, one of Neil’s first businesses was an auto recycling business. 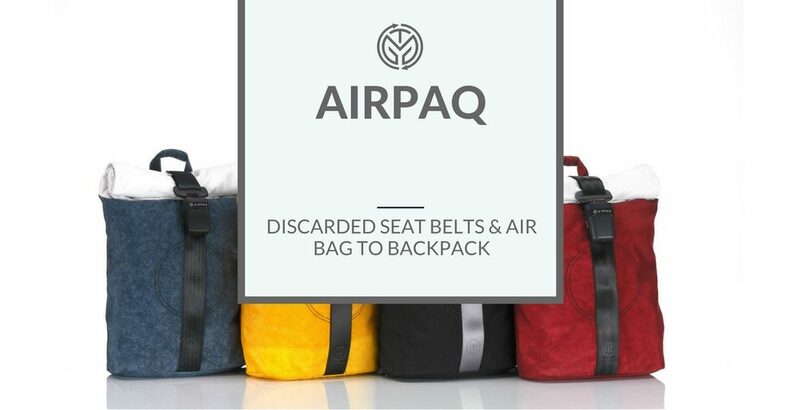 We stumbled onto Airpaq, a startup that is taking airbags and seatbelts from scrap yards and re-envisioning them as stylish and useful backpacks. Each Airpaq is a one-of-a-kind piece because no two upcycled scraps are the same. They come from different vehicles and have interesting markings because they generally come from deployed airbags found in the scrap yard. They’re all creatively unique. The story behind Airpaq aligns closely with ours. Not only do they care about creating sustainable products, but they also see sustainability as the new way of doing business. Their business emerged from a passion for finding alternative uses for things that get thrown out every day.